What is intellectual history? Those who practice intellectual history have described themselves as eavesdroppers upon the conversations of the past, explorers of alien ideological worlds, and translators between historic societies and our own, while their critics have often derided them as narrow-mindedly studying the ideas of dead white men. Some consider the discipline to be among the most important in the humanities and social sciences because it facilitates a better understanding of contemporary ideological programmes and facilitates their rational evaluation. In this engaging and refreshing introduction to the field, Richard Whatmore begins by examining the historical development of intellectual history, before dissecting its various methodological debates. He presents various alternative ways in which we should think about intellectual history, as well as presenting his own very clear definition of the field. Drawing on a wide range of historical examples, Whatmore shows how ideas - philosophical, political, religious, scientific, artistic - originated in their historical context and how they were both shaped by, and helped to shape, the societies in which they originated. He ends by casting a critical eye over the current state of intellectual history, and a brief discussion of how it might develop in the future. What is Intellectual History? will become an essential textbook for scholars and students of intellectual history, philosophy, politics, and the humanities. Richard Whatmore is Professor of Modern History at the University of St Andrews and Director of the St Andrews Institute of Intellectual History. 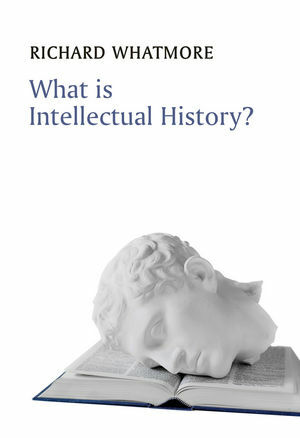 "What is Intellectual History? is a powerful statement of the importance and relevance of its subject. From a history of the field's development, with a particular focus on the transformation of the history of political thought by John Pocock, Quentin Skinner and Istvan Hont, Richard Whatmore explores the possibilities as well as the limits of intellectual history, demonstrating the multiple ways in which it better enables us to understand the rich tapestry of human intellectual achievement." "The ideal starting-point for anyone who wants to understand what intellectual historians are doing and why it matters. In this timely and useful book, Whatmore provides a lucid and refreshingly personal introduction to both the history of Intellectual History and the ways it is practised today in the English-speaking world." What is Intellectual History? is a powerful statement of the importance and relevance of its subject. From a history of the field's development, with a particular focus on the transformation of the history of political thought by John Pocock, Quentin Skinner and Istvan Hont, Richard Whatmore explores the possibilities as well as the limits of intellectual history, demonstrating the multiple ways in which it better enables us to understand the rich tapestry of human intellectual achievement. Text The ideal starting-point for anyone who wants to understand what intellectual historians are doing and why it matters. In this timely and useful book, Whatmore provides a lucid and refreshingly personal introduction to both the history of Intellectual History and the ways it is practised today in the English-speaking world.